Step inside our vast hall of sumptuous sound, gleaming and sparkling with 24-carat surfaces and diamonds and gems of all varieties. Open your ears to the luxury sound of deep, bass-heavy Hip Hop melding and merging with knife-edge Techno, epic EDM and boot-stomping Electro – this is the vibrant, sub-atomic sonic energy of Golden Temple – Massive Hip Hop Presets, expertly crafted in our studio-smelting plant to deliver unparalleled musical exuberance to your favourite soft synth! This ultra-modern collection of 50 presets hits hard and heavy, packing in vast, rolling basses, intense, driving leads, huge, towering chord progressions, glimmering, percussive pluck, neon-lit SFX sounds and more! As if this wasn’t enough pure audio adrenalin to pack into one release, we’ve also included fully-customisable drum presets on top, handing you the staff of Hip Hop power to tweak your sound to perfection! Every one of Massive’s 8 macro controls has been assigned for every single preset, allowing you to create awesome intensifications, musical variations and sonic contrasts in a heartbeat. The release also includes 40 MIDI loops to accompany the synth patches and get your creative juices flowing – it’s never been easier for you to cook up your own style! 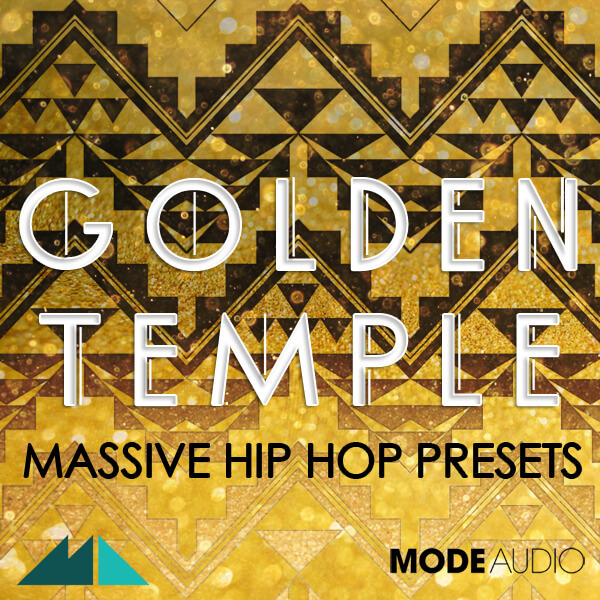 With all this power at your fingertips, you might want to take a step back from your speakers before hitting that ‘play’ button – polish your bullion and take more than several sips of the high life with Golden Temple – Massive Hip Hop Presets!